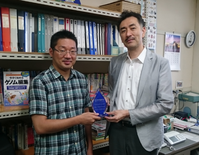 The blue flame is a symbol used on our website to designate plasmids that have been requested more than 100 times. 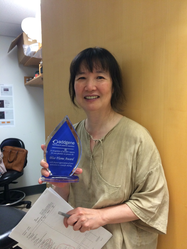 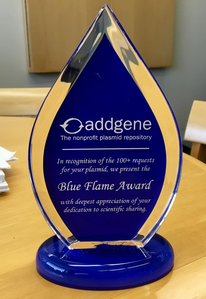 The Blue Flame Award, first distributed in 2016, serves to congratulate researchers who have at least one plasmid deposited at Addgene that has been distributed more than 100 times. 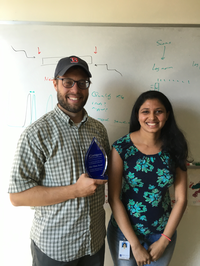 The list below denotes the depositing labs who have the most highly requested plasmids. 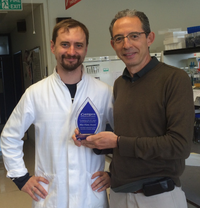 Currently, there are 500+ depositors worldwide who have one or more blue flame plasmids.